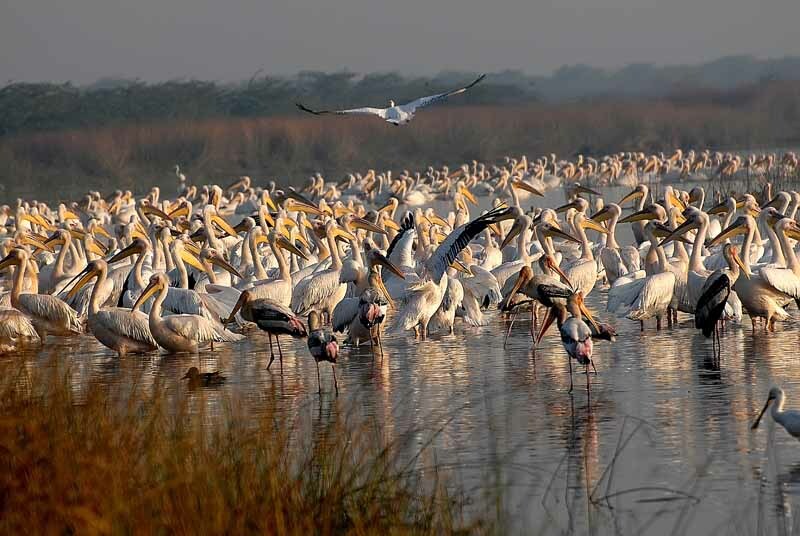 Khijadiya is a distinctive manmade, coastal, freshwater wetland in semi-arid biogeographic zone in India. It came into existence due to two bunds/embankments built to apprehend salinity ingress from the sea into the mainland and to prevent freshwater draining into the sea. This created a unique complex “Saltwater-Freshwater” ecosystem with variety of habitat types and ecosystems. 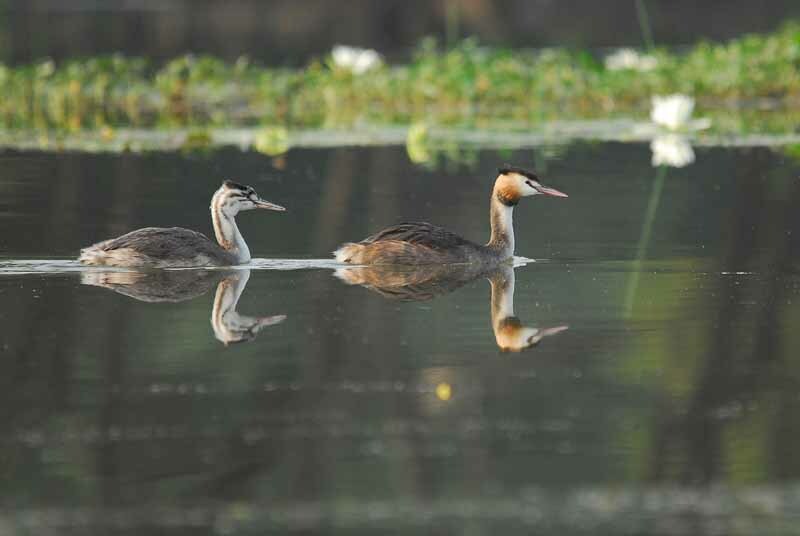 This dynamic and complex wetland eco-system with multiplicity of habitat types provide various ecological and economic services. 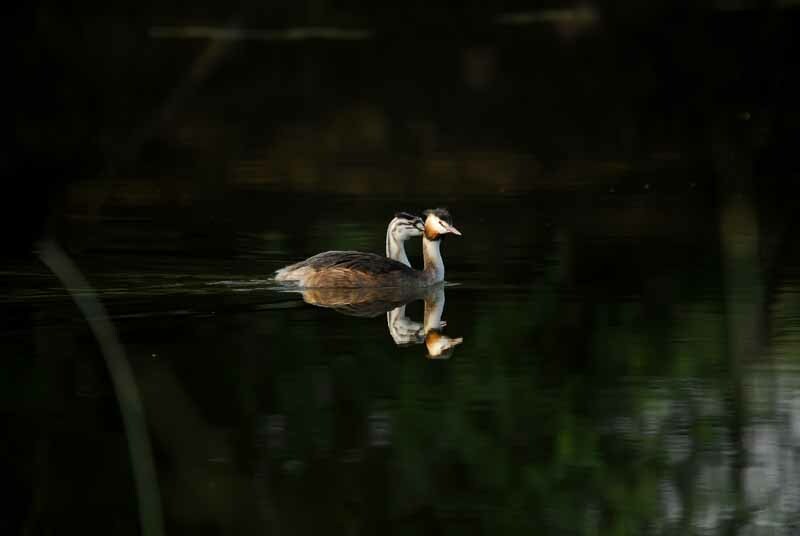 It supports birds including various categories of species scheduled in Red Data List of IUCN. 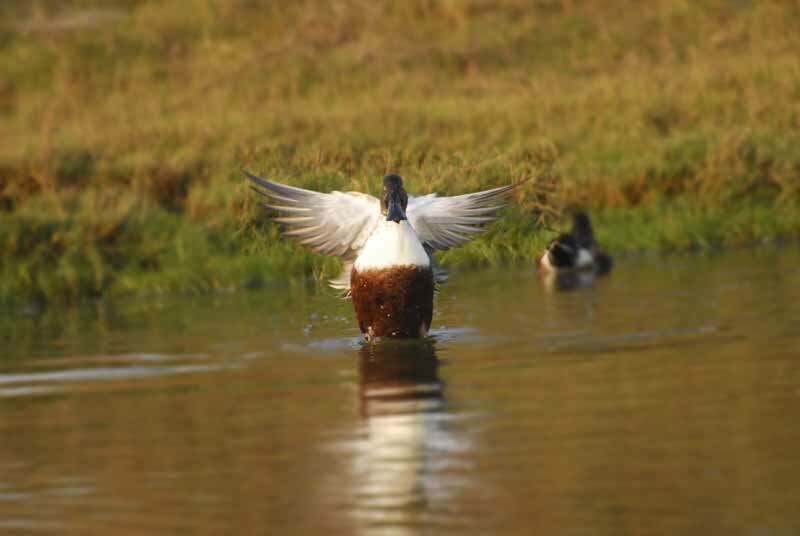 This wetland system provides favourable breeding, feeding, roosting, and staging grounds for a great variety and density of birds during various seasons of the year. 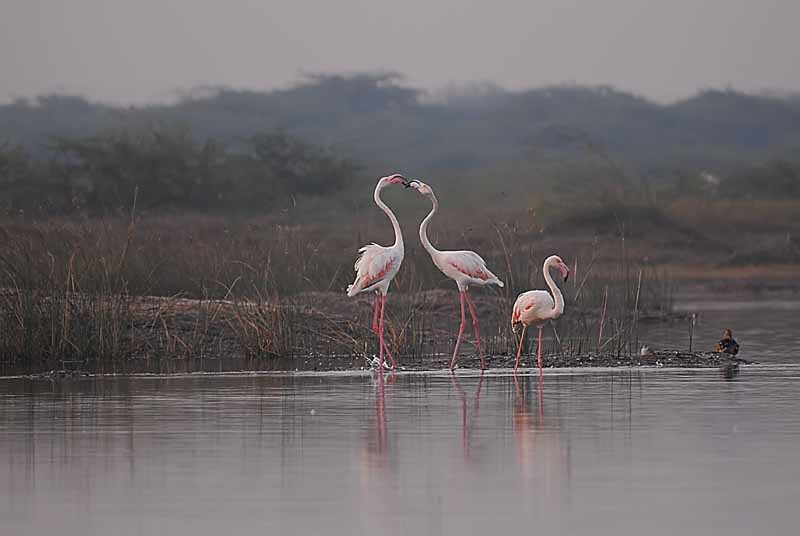 Along with the marine and fresh water habitats, there are also marshy lands, mangroves, Prosopis areas, mudflats, salt pans, creeks, forest scrub, sandy beaches, and even farmlands bordering the area. 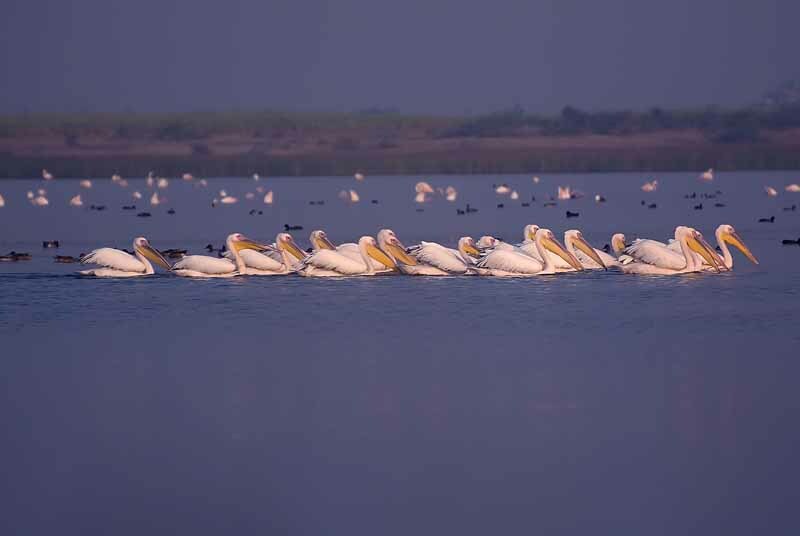 This makes the place a paradise for more than 250 species of resident and migratory birds, including globally threatened species such as Dalmatian pelican, Asian open bill stork, Black-necked stork, Darter, Black-headed ibis, Eurasian spoonbill, and Indian skimmer, and provides birdwatchers with a delightful chance to sight rare birds in large numbers. The KBS is located adjacent to the boundaries of Marine Sanctuary. 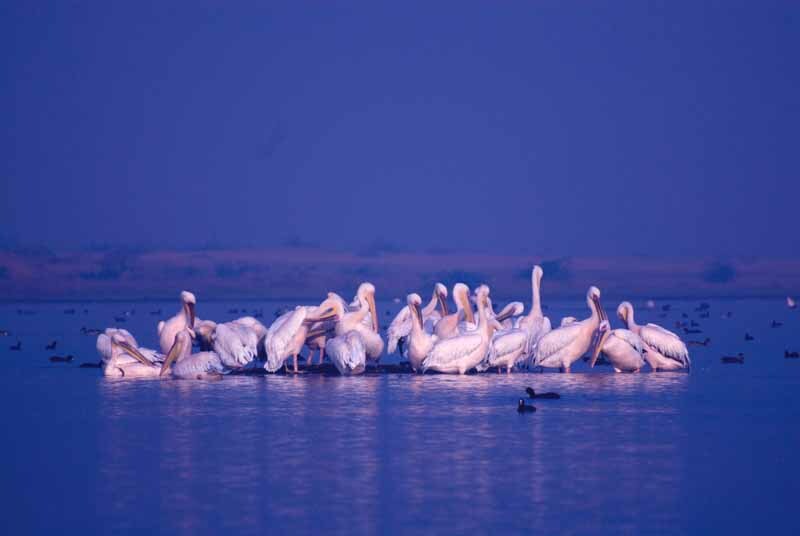 Due to its strategic location close to the Gulf of Kachchh, an Central Asian flyway, it act as a regular route for the migratory birds that comes from Iran, Afghanistan and Pakistan to visit the sanctuary and its neighboring areas. 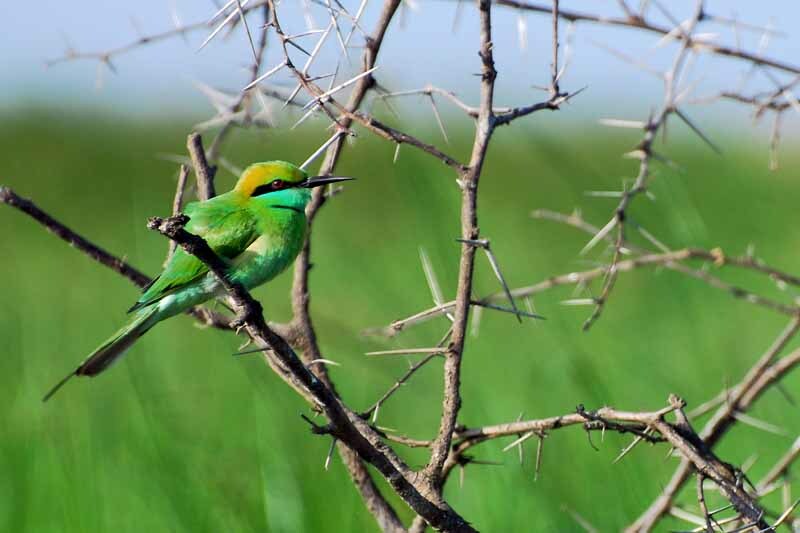 An Interpretation Center has been set up for tourists and nature lovers to acquire scientific information on the avifauna and varied ecosystems of the sanctuary. 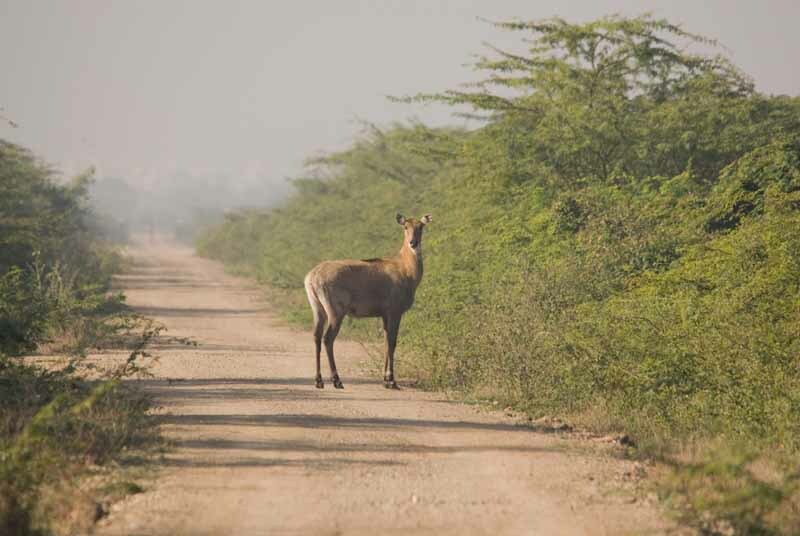 There are also facilities likereclamation bunds, watch towers, hides and nature trails towards Dhunvav/ Khijadiya side and reclamation bund, watch towers, hides and murram road up to watch towers towards Jambuda side of the sanctuary to facilitate tourists. There are no State Transport buses to the site, but rickshaws are available, and private vehicles can be hired. 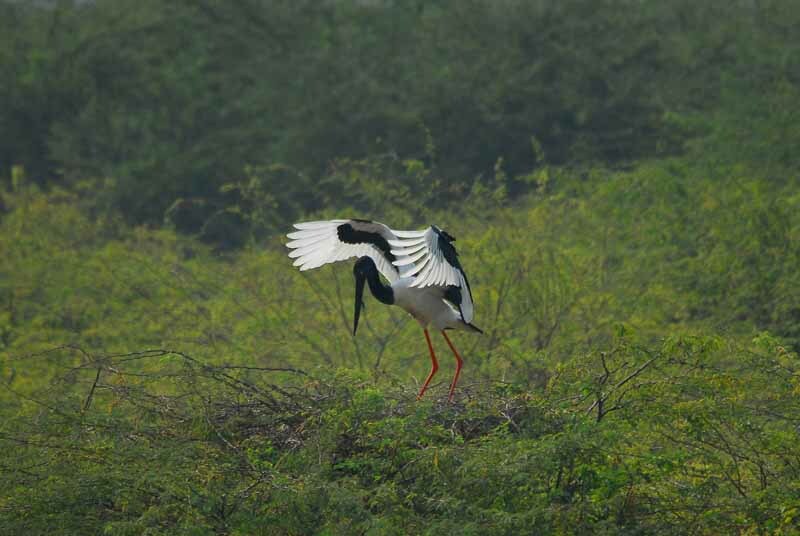 For permission and more information contact Office of Chief Conservator of Forests Office, Tel: 0288 2679357, Nagnath Gate, Van Sankul, Ganjiwada, Jamnagar. 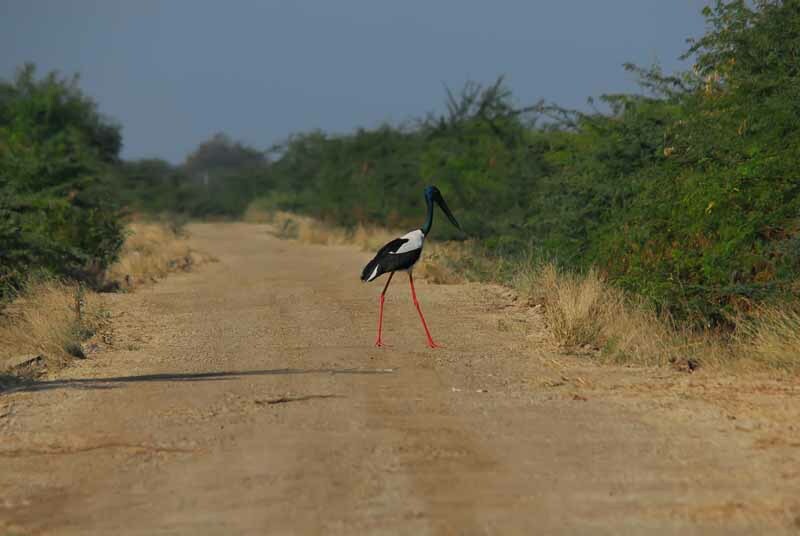 By road: Jamnagar is 92 km from Rajkot. State transport buses and private luxury coaches connects Jamnagar from various centres of Gujarat. If you’re coming from Rajkot on bus, the bus passes right through the town before reaching the bus station, so you can ask to be let off at Bedi Gate. 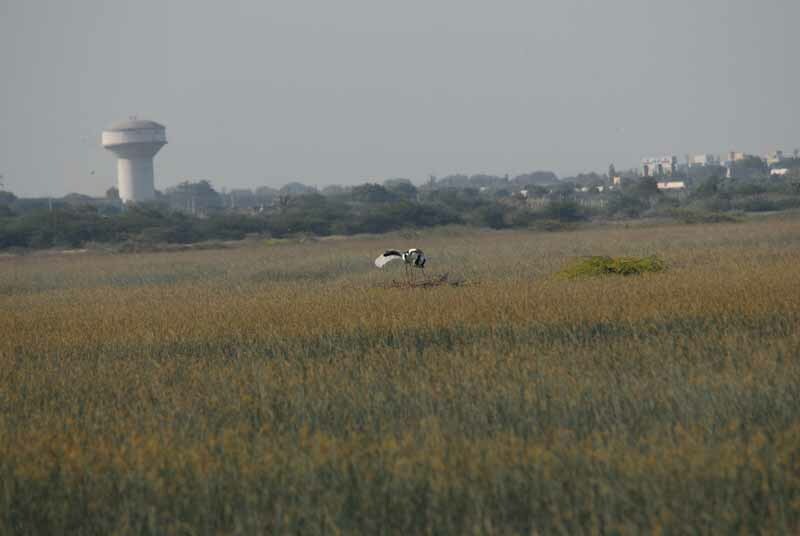 By air: There is an airport 10 km from Jamnagar, so it’s a relatively inexpensive rickshaw or taxi ride. Various domestic airlines connect Jamnagar to Mumbai.